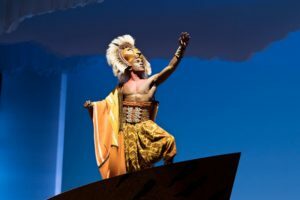 Disney’s The Lion King comes to the stage at the Music Hall at Fair Park from June 13 through July 7. The national touring production will be presented by Dallas Summer Musicals. 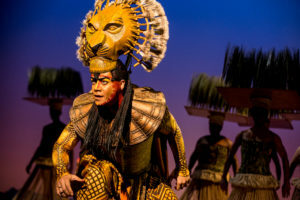 The role of Young Simba is alternated between Joziyah Jean-Felix and Ramon Reed, and the role of Young Nala alternatea between Danielle W. Jalade and Gloria Manning. Rounding out the cast are Derek Adams, Kayla Rose Aimable, Andrew Arrington, William John Austin, Eric Bean, Jr., Kolin Jerron, Thabani Buthelezi, Sasha Caicedo, Kyle Robert Carter, Thembelihle Cele, Erynn Marie Dickerson, Tony Freeman, Deidrea Halley, Jalen Harris, William James Jr., Jane King, Gregory Manning II, Christopher L. Mc Kenzie, Jr., Nhlanhla Ndlovu, Aaron Nelson, Selloane Nkhela, Phindile Nyandeni, Phylicia Pearl, Christopher Sams, Jordan Samuels, Mpume Sikakane, Sadé Simmons, Kimber Sprawl, Kevin Tate, Jennifer Theriot, Courtney Thomas, Shacura Wade, Zola Williams and Krystal Worrell. Tickets are available at DallasSummerMusicals.org or by calling Ticketmaster at (866) 870-2717. Orders for groups of ten or more may be placed by calling (214) 426-4768 or emailing Groups@DallasSummerMusicals.org. VIP Ticket Packages, which include a prime seat location, a commemorative souvenir program and an exclusive merchandise item, are also available. 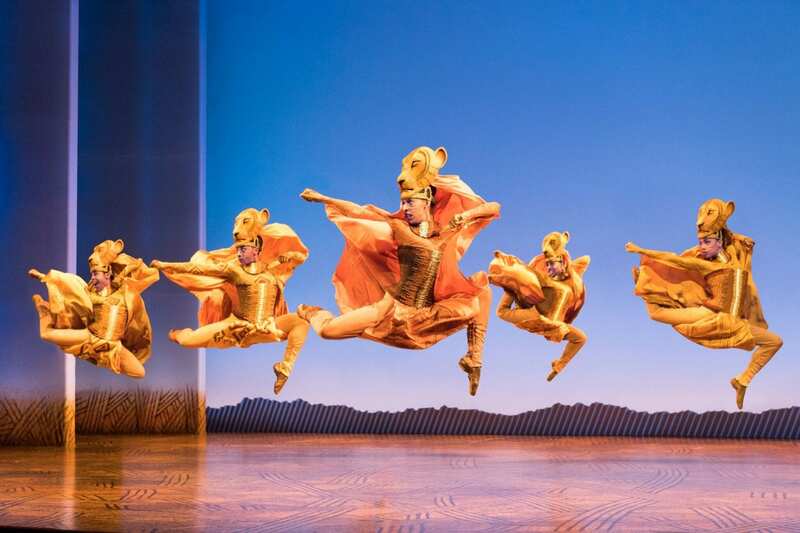 The North American touring productions of The Lion King have been seen by more than 19 million theatergoers. Having already played more than 70 cities across North America, The Lion King now proudly makes its fourth return to the Music Hall at Fair Park. Following The Lion King, DSM‘s 2017-18 season will continue with the spellbinding sequel to The Phantom of the Opera, Love Never Dies: The Phantom Returns, July 24-August 5, 2018; and closing the season will be the hilarious new musical School of Rock, based on the hit film, August 15-26, 2018. DSM will continue to bring the best of Broadway to North Texas in the 2018-19 season with shows like Hamilton, Disney’s Aladdin, Hello, Dolly!, Cameron Mackintosh’s new production of The Phantom of the Opera, Anastasia, Miss Saigon, Fiddler on the Roof and season add-ons Elf and The Book of Mormon. Next articleBetter Hurry If You Are Coming!